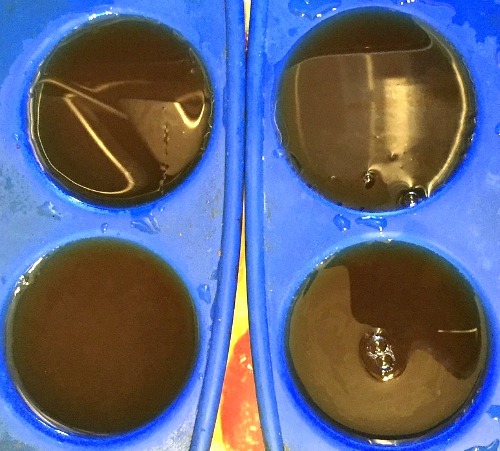 How To Freeze Broth for Meal Prep -- Using Silicone Muffin Tins + Molds! A while back I told you how I’ve been making vegetable broth from veggie scraps in my Instant Pot. Sometimes I mix things up by making chicken stock, too! But suffice it to say that I’m on a roll and have been doing this just about every week now — we tend to end up with a lot of vegetable scraps, and since I often use broth in recipes it’s been great to have it handy without having to buy any. 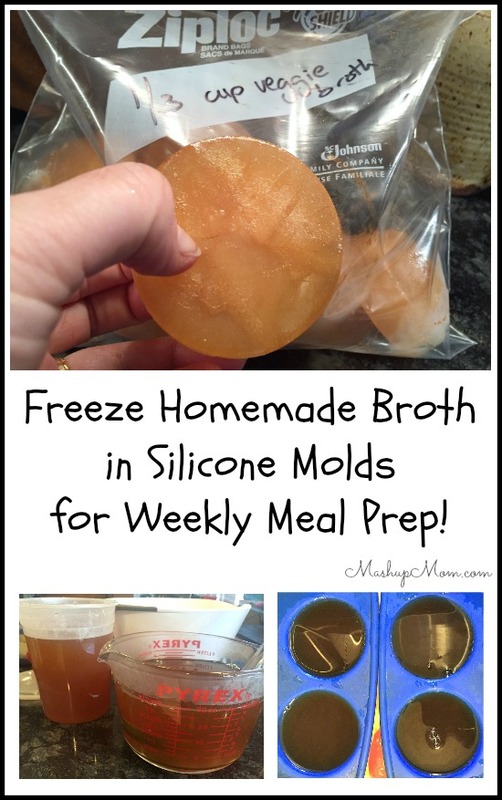 It’s so much more cost effective (and tastier) to make and freeze your own. Homemade broth, by the way, is one of my very favorite uses for the Instant Pot. 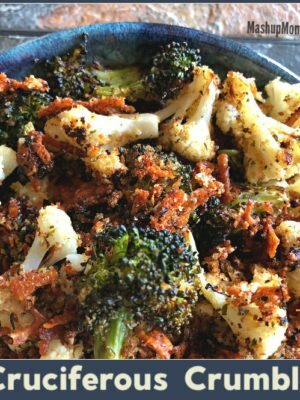 Use your own homemade veggie broth in recipes ranging from veggie burrito bowls to asparagus mushroom stir fry to curried chickpeas with spinach… as well as in sides from rice to mashed potatoes. I’ve been making so much broth lately, though, that I’ve ended up with more than I can use most weeks and have been freezing the excess for busier days ahead. 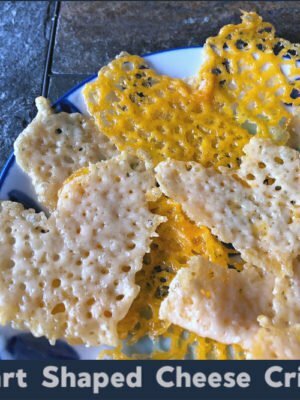 Although I started out just freezing two cups of broth per quart freezer bag, I found that often I needed a smaller amount for a recipe or to add a bit of flavor to a dish. 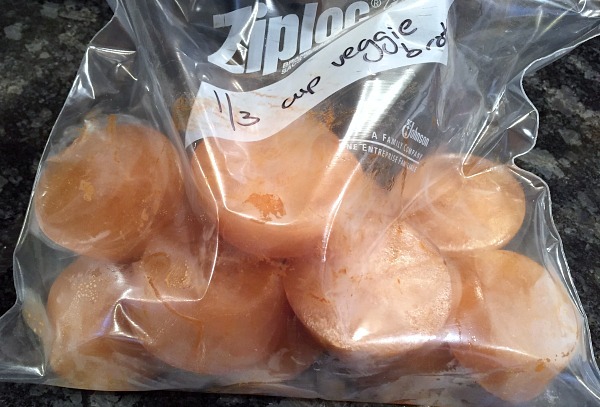 Plus, bonus: You use up fewer freezer bags this way! 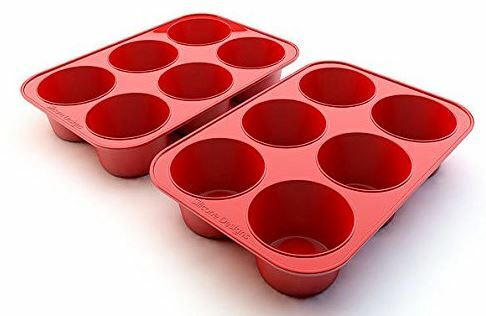 Standard muffin pans hold 1/3 cup of broth per muffin cup, so I’m thinking I might also pick up a set of jumbo silicone muffin pans that hold 1/2 cup per each. 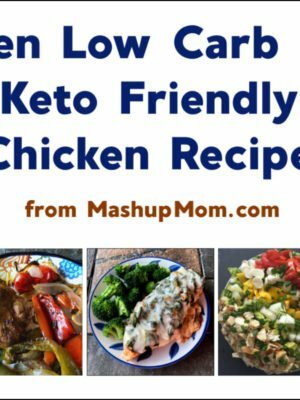 Half cup increments are more commonly used in recipes, and I could also use these to make jumbo egg “muffins” for low carb MashupDad. 🙂 Or if the lack of cube-ness bothers you with these, go with a square mold like this one! It’s such an easy way to save homemade broth for later use. 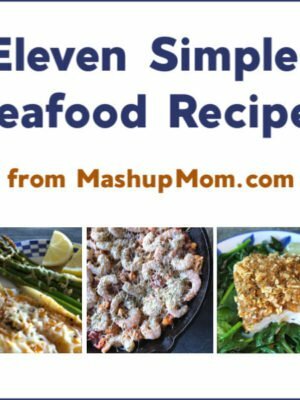 What have you been doing to make your own meal prep easier lately? Jewel had 1 silicone giant ice cube tray on clearance for $2.50 that I bought for the same reason. I have been freezing leftover jarred spaghetti sauce and refried beans. Veggie broth is a great idea. My tray has 6 square compartments. Just a tip regarding silicone bakeware: as weird (and unhygienic) as it sounds, avoid washing them with soap! The soap residue is almost impossible to rinse away, and will leave your foods with an odd after-taste. Just rinse thoroughly with water, and you can either air dry, or sanitize by drying them in a 300 degree oven.